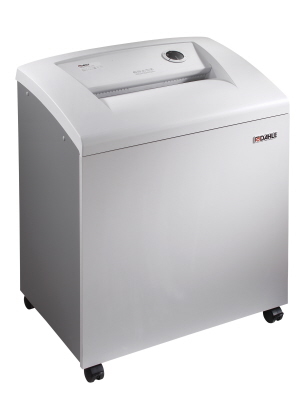 The all new line up of Dahle CleanTEC Paper Shredders is here! With standard features for intelligent and revolutionary paper shredding technology such as CleanTEC filtration, Safe Technology, ESP (Electronic Safety Protection), Smart Power Energy Management and EvenFlow Lubrication - these commercial shedding machines are unmatched in the market. The all new CleanTEC filtration system - filters out fine particles in the air, leaving your office environment feeling a little cleaner. 98% of fine dust is eliminated through the filtering system from paper shredding. With Safe Technology - the Dahle shredders can stop on verbal command when you yell "Stop", or you can tap the top cover to halt shredding. There is also added safety protection with an automatic shut off and a manual emergency switch on the back of the machine for added safety and security. The ESP (Electronic Sensing Protection) - monitors the amount of paper you insert into the machine and provides feedback to help eliminate shredding jams and saves time and frustration from overloads. The machine senses paper input and will not operate until the fed paper is under the feed capacity limits of each machine. Smart Power reduces power consumption and puts the shredder into sleep mode - and powers off the unit when not in use automatically after 20 minutes of inactivity. This makes Dahle the most energy efficient brand on the market today. And with the EvenFlow lubrication you need not worry about wear and tear. 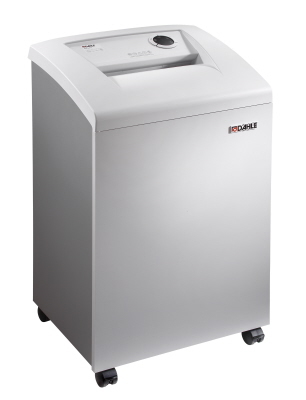 These shredders include integrated automatic oiling systems to keep your shredder performing optimally! Backed by Dahle's solid Solingen Steel Cutting Heads, you can expect your shredder to last for years - worry free and at peak performance! 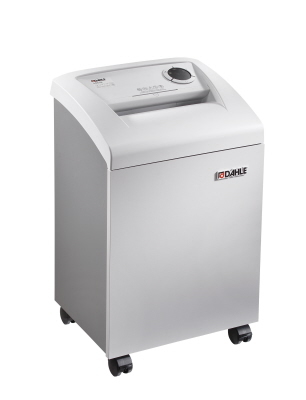 The Dahle 41214 is a innovative small office shredder with CleanTEC air filtration technology. Available in a cross cut shred format, it provides high security for document shredding with a 9 1/2" wide feed opening. The long lasting Solingen steel cutting cylinders are designed for long life and provide a medium security level with 1/8" x 1 9/16" cross cut shred size. The Dahle 41314 CleanTEC also boasts the larger 10 1/4" feed width for the small office needs. The cross cut paper shredding provides a higher shred security for most common applications. And, like all cross cut models in this line it includes the EvenFlow automatic oiling / lubricating system to keep the cutting cylinders free of debris and lubricated for longer life. 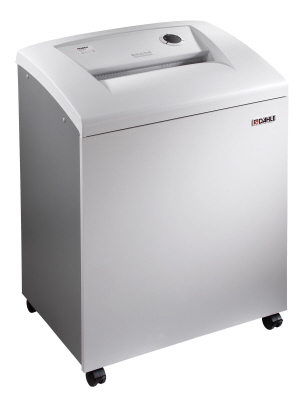 The CleanTEC Dahle 41414 is a mid sized office paper shredder which provides a more secure cross cut shred. The solid Solingen steel cutting cylinders are designed to withstand everyday use in a commercial environment. This model is also a Multi-Media+ Paper shredder which accepts staples, paper clips, credit cards, CD's and DVD's disks. The all new Dahle 41614 is a department paper shredder design to hand the needs of larger offices with a high volume of document or multimedia destruction. This multimedia model allows you to destroy paper/documents (25 - 20# sheets or 28 - 16# sheets), CD's / DVD's, Smart Cards / Credit Cards, and also accepts paper clips and staples. 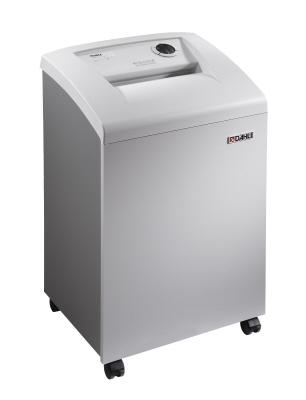 The Dahle 41534 is a high security Shredder with Level 6 Top Security shred format. This energy efficient cross cut model provides the highest protection for sensitive and Top Secret document and paper destruction. This model is designed for small department or medium office needs and includes all new features including the CleanTEC Air Filtration System and Smart Power Energy Savings systems.